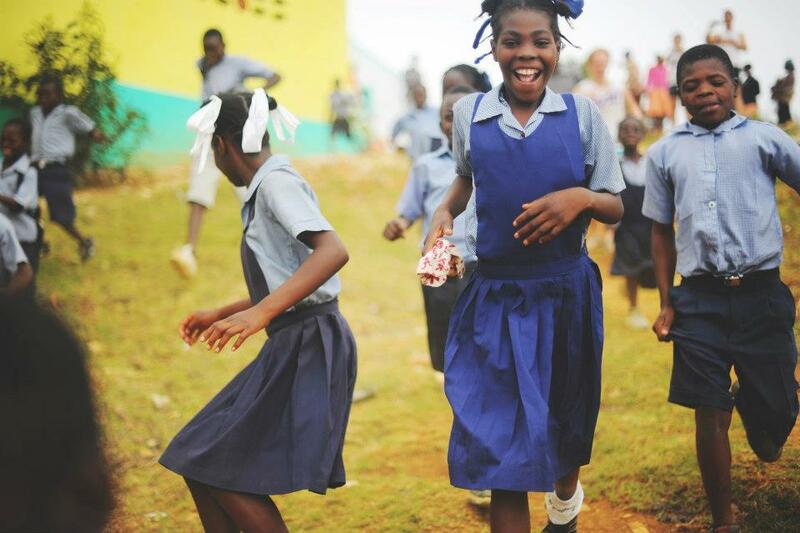 Run Haiti sponsors projects that promote exercise and healthy lifestyle choices. Run Haiti teams with the Clinic St. Espirit in Croix des Bouquets, Haiti. Through this collaboration, Run Haiti helps to fund prevention programs such as weekly exercise classes and the "Croix des Bouquets 2k Run to Give Life" in March of each year. Run Haiti also provides financial support to the Physical Therapy and Rehabilitation Center at the Clinic St. Espirit. This support helps to provide those who have suffered strokes or are otherwise debilitated to stay independent and keep moving. Run Haiti also provides an annual 2k Fun Run in Baie d'Orange, Haiti, that provides local school children with the chance to enjoy a jog through the mountains followed by a big meal of rice and beans. In Baie d'Orange, Run Haiti also provides support to the Humanity First Community Health Worker's Program. This program takes 12 local women and spreads them throughout the community to provide education on healthy habits and manage patients with high blood pressure. The Community Health Workers are the front line of stroke prevention in the mountains of South-East Haiti. In recent years, physical therapists from the Clinic St. Espirit have conducted trainings on basic stroke rehabilitation with the Community Health Workers. All donations go 100% toward the projects that we support. A portion of the registration fees for Run Haiti events also goes toward the projects that we support.